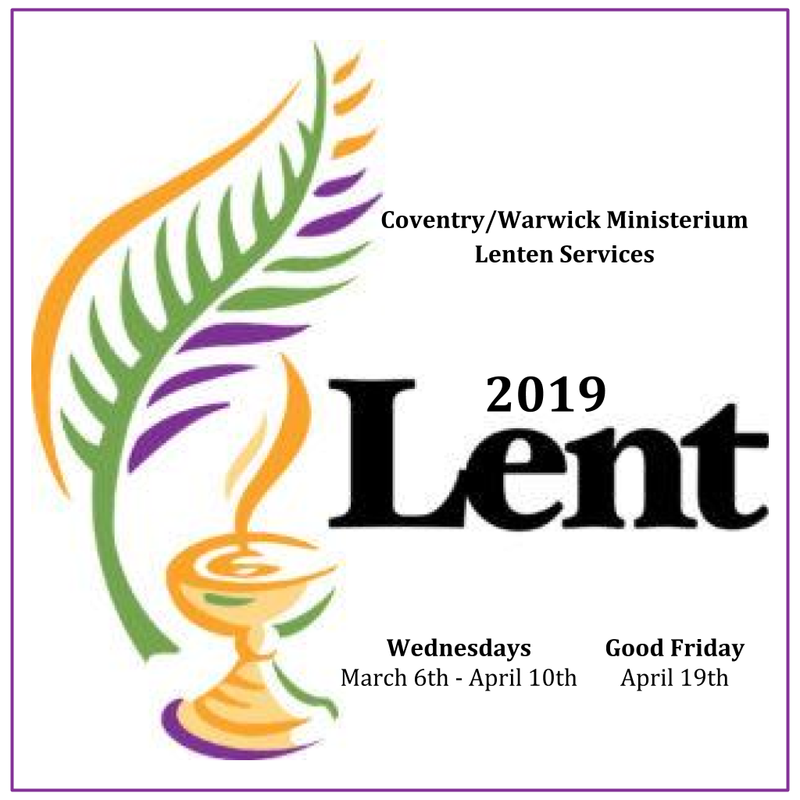 The Coventry/Warwick Ministerium invites you to Lenten community services starting on Ash Wednesday, March 6th. The host church and presiding clergy member change every Wednesday. It’s a great opportunity to visit area churches, to get to know neighbors better, and to unite in Christian spirit. The Wednesday services start at 7:OO PM, with light refreshments after each service. The Good Friday service will be at 2:00 PM. Offerings go to the discretionary fund of the ministerium. Previous Looking for a church?